Blade Devon did not get to swagger back into her life after all these years as if nothing had happened. 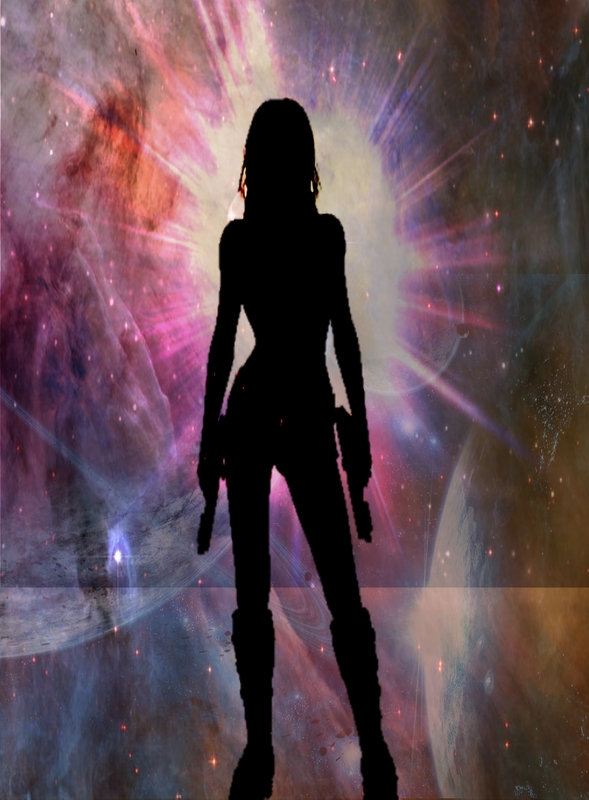 Bo tightened her grip on her blaster and clenched her jaw. “Now, love, let’s not do anything hasty,” he said calmly as he obeyed. Sounds like the didn’t exactly part as friends. She ordered him out at gunpoint and told him she’d kill him if she ever saw him again. I like the description of her emotions on seeing Blade – a really great way of evoking her reactions to seeing him. And the last line is wonderful! Thanks! Theirs is a complicated situation involving a lot of secrets, lies, and a long-legged femme fatale with a salacious confession. I thought it was Blade, but I didn’t want to give away anything in my comments last week. Since I’m reading Hero’s End right now, I’m not sure I want to know too much about this yet. Should I stop reading your snippets for now? Nah, I’ve been careful to avoid spoilers.